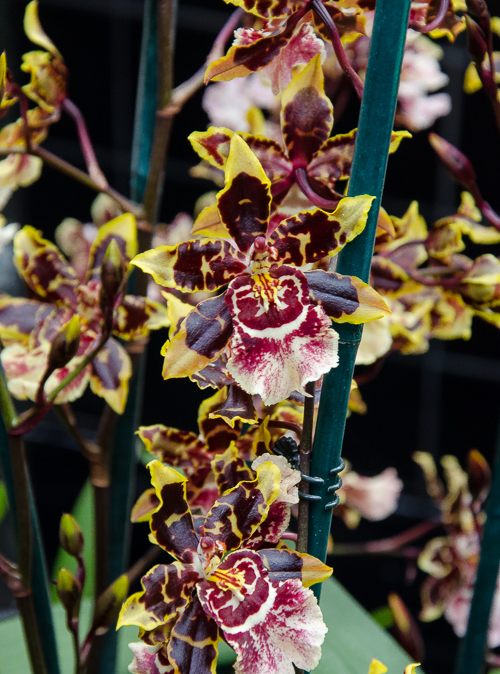 This year's Orchid Daze installation flew past like an express train. 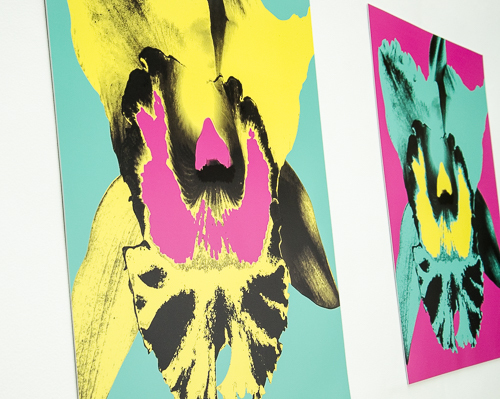 Orchid Daze: Pop!, our Pop Art-inspired orchid display is now open! 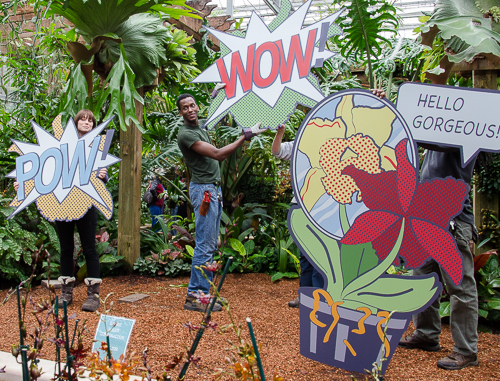 Here's a look at our work in progress and eight fun facts about this year's display. 1. 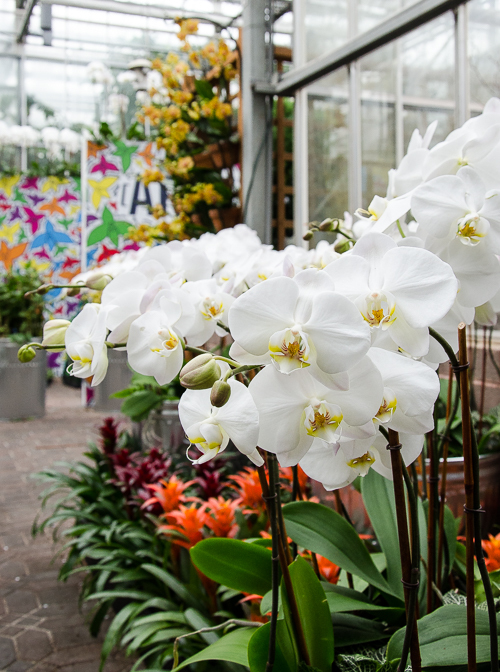 Best Orchid Daze Selfie Opportunity: the Conservatory Lobby. 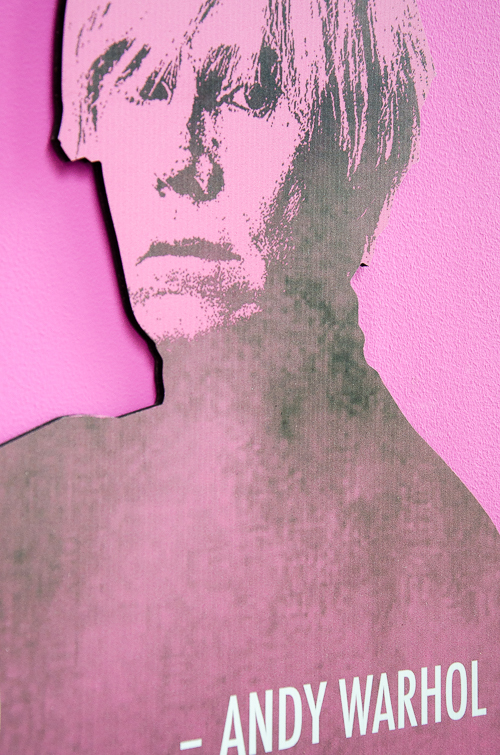 Take your picture alongside a 60's pop icon. 2. 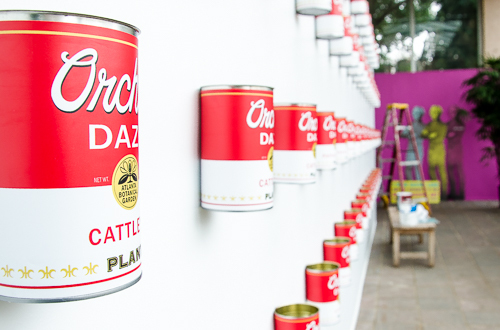 The planters in our Warhol orchid gallery are actual soup cans. 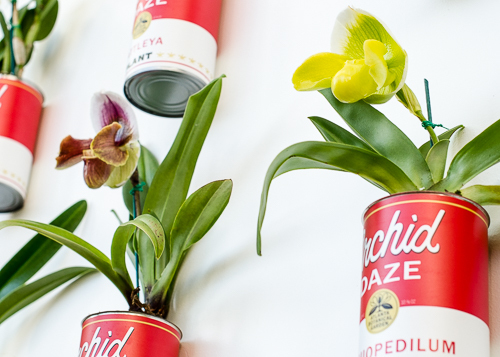 For our Warhol-inspired orchid display in the Conservatory Lobby, I was enlisted to investigate soup can options. 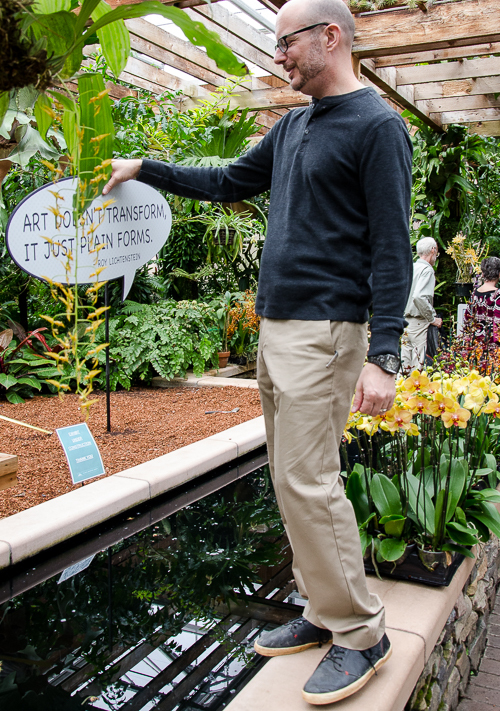 The assignment: find a can approximating Campbell's soup proportions that is large enough to hold an orchid. In the interest of Orchid Daze research I consumed in one weekend one 46 oz can of Beef-a-roni, a can of ravioli, and a truly disgusting lunch of SpaghettiOs before settling on the Swanson's Chicken Broth as the ideal can. 3. The labels are original. Our graphics designer Chris Kozarich created the witty orchid graphics based on the works of Andy Warhol, Keith Haring and Roy Lichtenstein, including those brilliant soup can labels. 4. 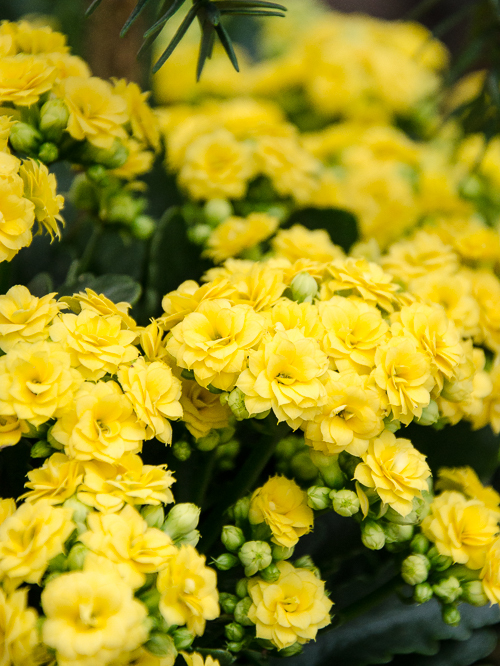 Most popular plant combo: Phalaenopsis OX Lottery and yellow Kalanchoe. 4. 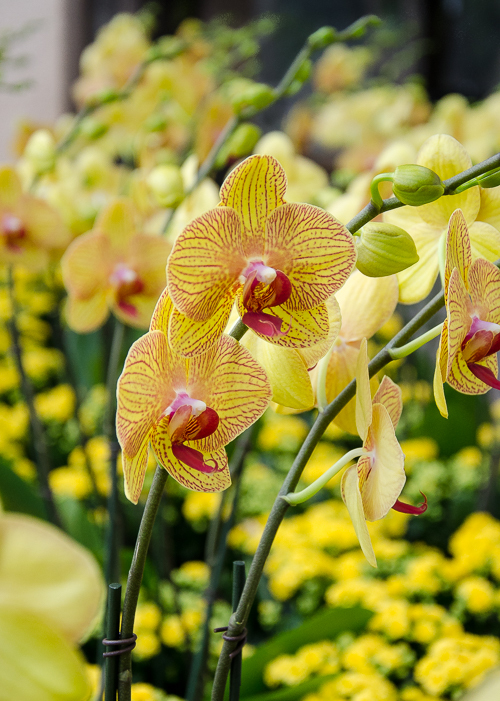 Most controversial item: the ironic use of urban chic trash cans overflowing with orchids in the Keith Haring-inspired display in the Orchid Atrium. 5. 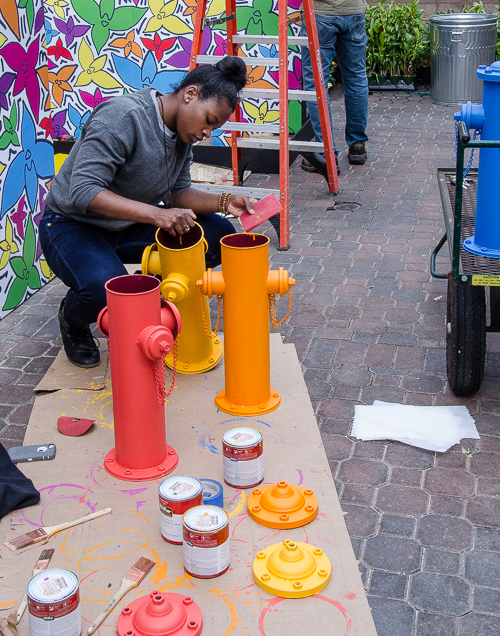 Runner up: the fire hydrants in electric colors. 6. 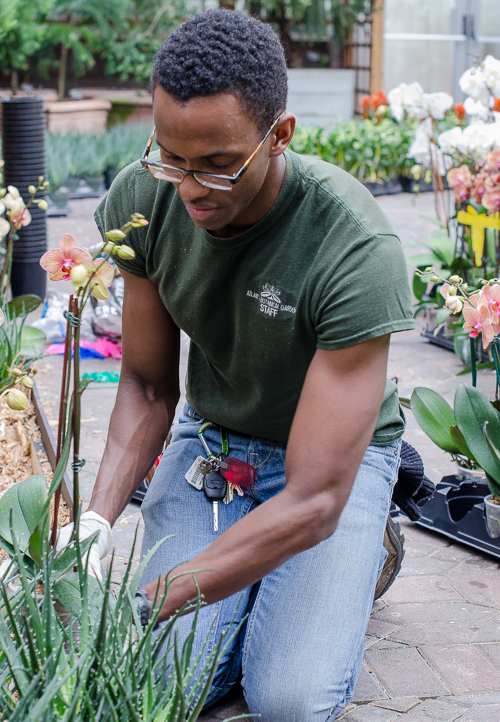 Pro's Secret: The orchids that appear to be planted in beds are actually sunk in the mulch still in their pots. 7. Most popular graphic: 'Hello Gorgeous! ', the Cattleya orchid admiring itself in a mirror. 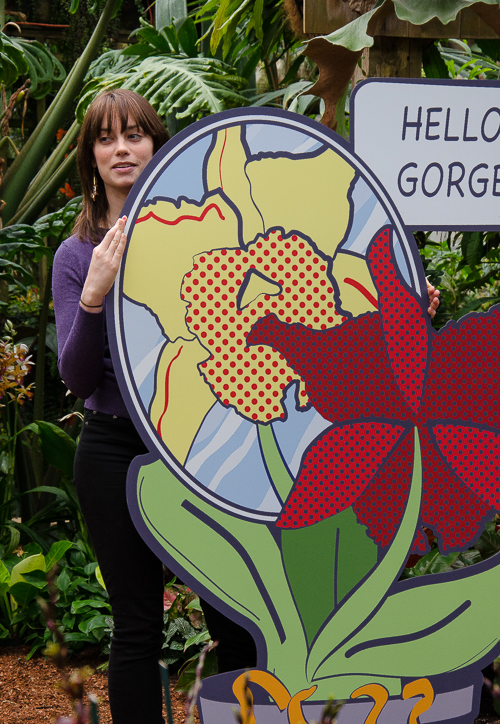 Look for it in the Roy Lichtentein-inspired display in the Orchid Display House. 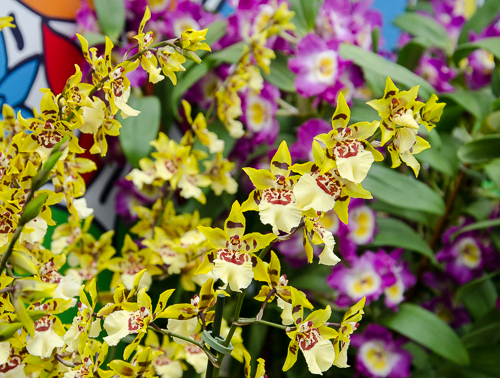 8. Who designs our Orchid Daze displays? It's Tres Fromme, above, placing one of the Lichtenstein graphics. Come see Orchid Daze! 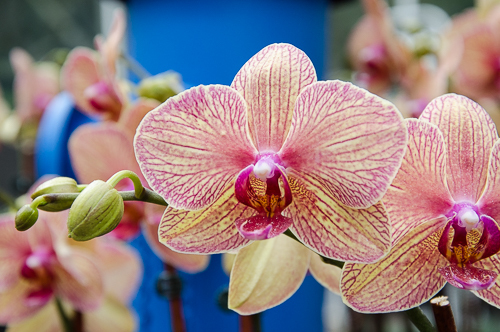 There is no better place on a frigid day than a warm greenhouse bursting with orchid color. 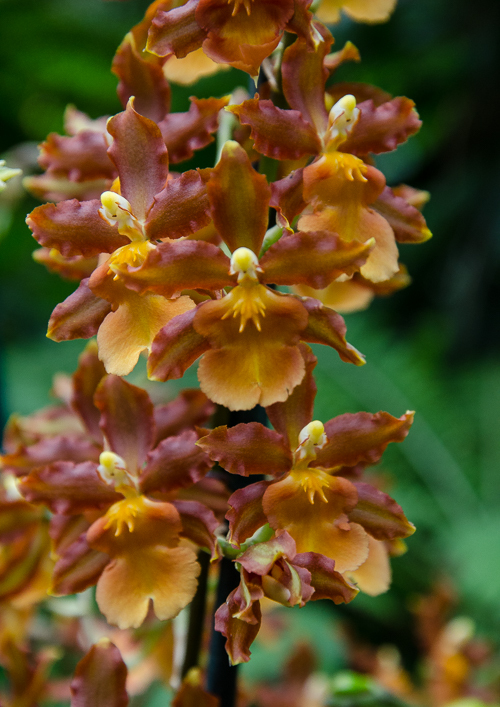 Orchid Daze: Pop! runs through April 12.